Who actually likes running errands? If you’re anything like us, you want to get as much as possible done in as few stops as possible. Wouldn’t it be nice to get your bread, milk, and tomatoes at the same time as you’re picking up a new lamp or decorative pillows? Sure, you can buy some groceries and home decor items at Target and Walmart. But those aren’t the only places where this fantasy scenario is playing out. Your local grocery store is getting in on the home decor game, too. That means more one-stop shops for your grocery and decorating needs. “In this Instagram age, people are more concerned with the aesthetics of their home and lifestyle than ever before, so it makes sense that more grocery stores are starting to offer home decor items,” says Annabel Joy, an interior designer and co-founder at Trim Design Co. in Boston. “I’ve been a fan of grocery stores for fresh florals, greenery, and houseplants, but now I’m also seeing items like woven baskets, and nice options for those utilitarian kitchen items like French presses and utensil crocks, too,” says Joy. Ready to deck out your home while you stock your pantry? We’ve ID’d the best decor finds at grocery stores across the country. 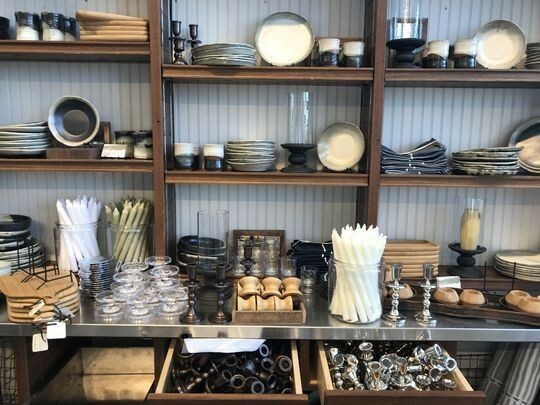 Whole Foods debuted its home goods spinoff, Plant & Plate, last year. So far it has only one location—inside the Bridgewater, NJ, store. If you’re lucky enough to live nearby, you can find Apotheke candles, Hedly & Bennett chef’s gear, Keiko pottery, plants, barware, and more. And if you aren’t in New Jersey? Don’t despair—the company plans to expand Plant & Plate to more locations soon. Trader Joe’s doesn’t have a ton of home decor just yet. However, it does have a large (and affordable) selection of succulents, houseplants, and branches to cheer up your space. Plus, it debuted a seasonal scented candle collection. 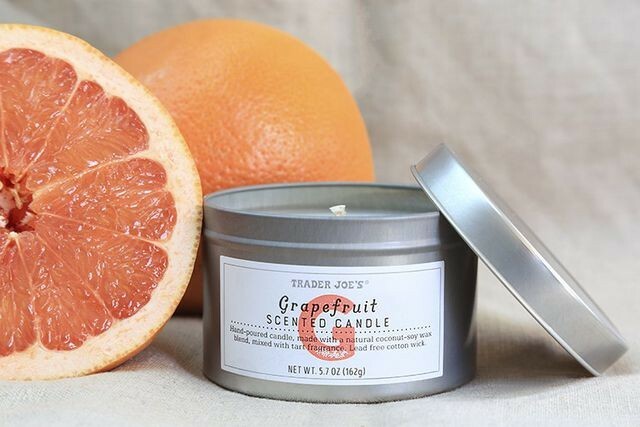 Think: Grapefruit or Lemon Cookie scents for spring and Cedar Balsam for the holidays. Publix might not be known for its extensive home goods aisle. But you can find plenty of surprises here if you’re looking to stock your kitchen or entertain guests. 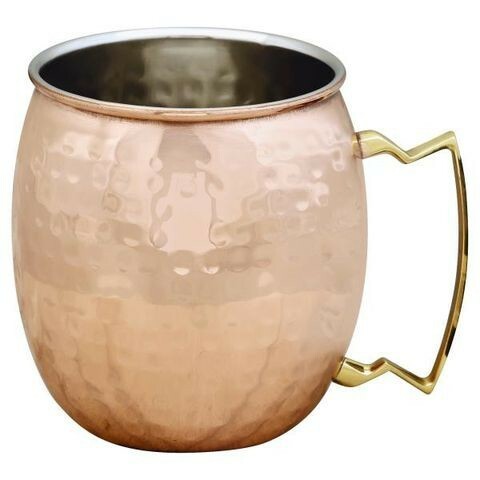 For example, maybe you’ll want to pick up these gorgeous Moscow Mule hammered mugs, and a hammered cocktail shaker and drink bucket to match. Then go ahead and get yourself a Felli serving bowl, pool umbrella, and lemongrass and coriander candle. Your home is now party-ready, and you didn’t have to go to five stores to get everything in shape. Wegmans was recently voted the grocery chain with the best reputation among customers and employees. It might not necessarily be because of its home goods offerings, but some sweet home decor gems can be found at Wegmans. 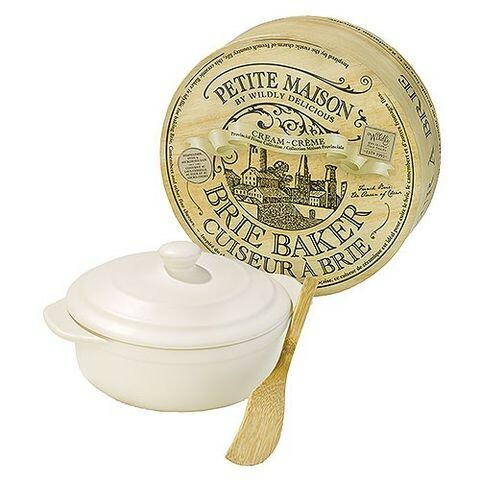 For example, this mini ceramic brie baker ($20) just might be the new kitchen accessory you didn’t know you were missing. Then, after stocking up on gooey cheese, you might want to get a teak utility board ($20) to serve it on, of course. Need to serve some beverages alongside your cheese course? Indulge in these 22-ounce lager stein glasses ($15) or stemless wine glasses ($20). Costco has more than giant sheet cakes, fortresses of toilet paper, and liters of olive oil. If you meander over to its home goods section, you can find some chic decor options that are perfect for anyone on a budget. Plus these items are sold individually as, you know, a single lamp or pillow—so no bulk shopping here. Standouts include a cozy faux fur decorative pillow ($17) and stylish tiger tripod lamp ($60) for your office. 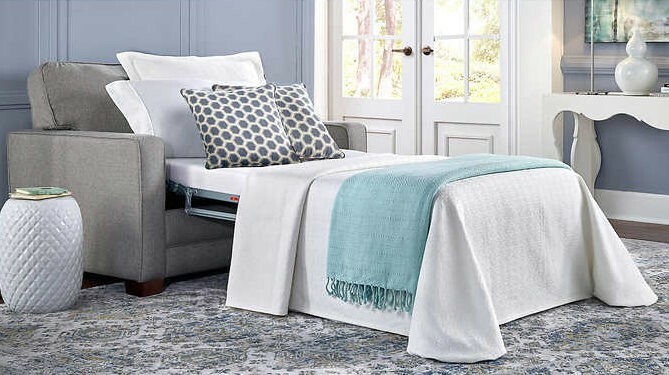 When you’re ready for new furniture, pick up a handy storage ottoman ($250) for your living room or even an adorable chair that folds out into a sleeper bed for guests ($500). “Wait a second,” you say. “This is a home decor store!” Well, yes. But hold on for the twist. Unlike the grocery stores we’ve mentioned where you can find home decor items, HomeGoods is a home store that is also a grocery store. Well—it’s at least a food market for gourmet products. 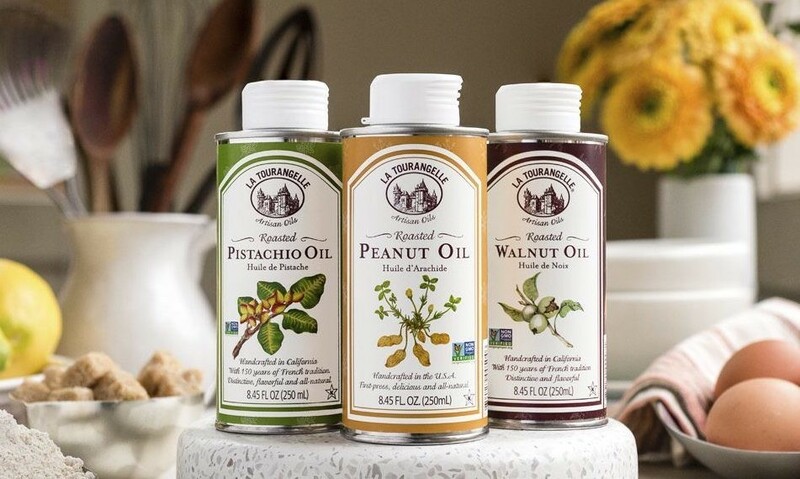 HomeGoods can be a gold mine for well-known food brands like Sarabeth’s and La Tourangelle. You can even find high-end olive, coconut, and avocado oils for less than what you’d pay at your usual grocery store. So the next time you’re out shopping for kitchen accents, be sure to stop by the food aisle. You may just walk away with a makeshift dinner. No judgments!